Elected Officials have a critical role to play in the economic, political and social well being of the their communities. With this Elected Officials Course, EDA is giving these community leaders a unique opportunity to understand the complex and competitive field of economic development; as well as the tools to help the economic developers in their communities to be successful. How to manage the process: bringing the whole community to the table. 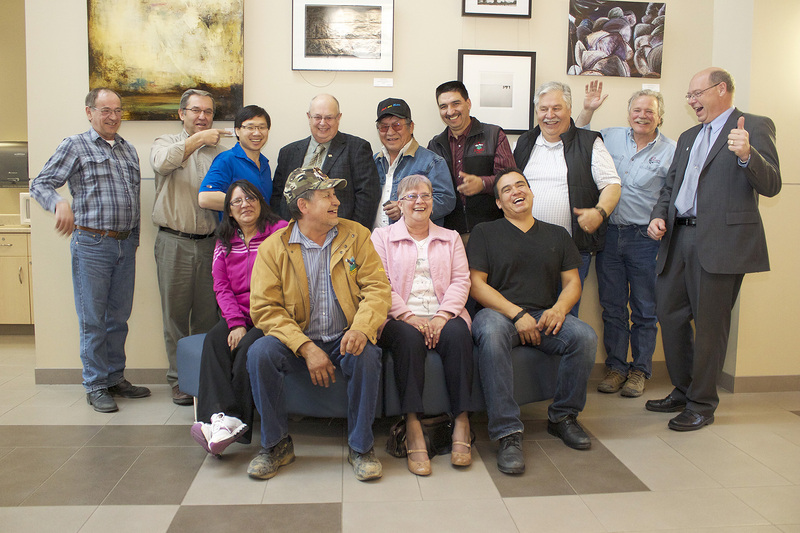 An enthusiastic thumbs up from elected officials at a course in Strathcona County. The host is responsible for arranging the venue and refreshments/lunch and for covering the trainer travel costs (which are minimal as we try to book the closest trainer to your location.) For travel over 2 hours, we charge an additional $50 per hour. As an option, the Host can set their own price per participant to cover the costs of food and travel. Note: Due to a CARES grant, in 2019 we are able to offer our full or 1/2 day Elected Officials course for $800/community (for 10 participants. additional $30 per person after that). Regular price $1750.